Sculptural work of elementary-level education students inspired by the work of artist Martin Payton. 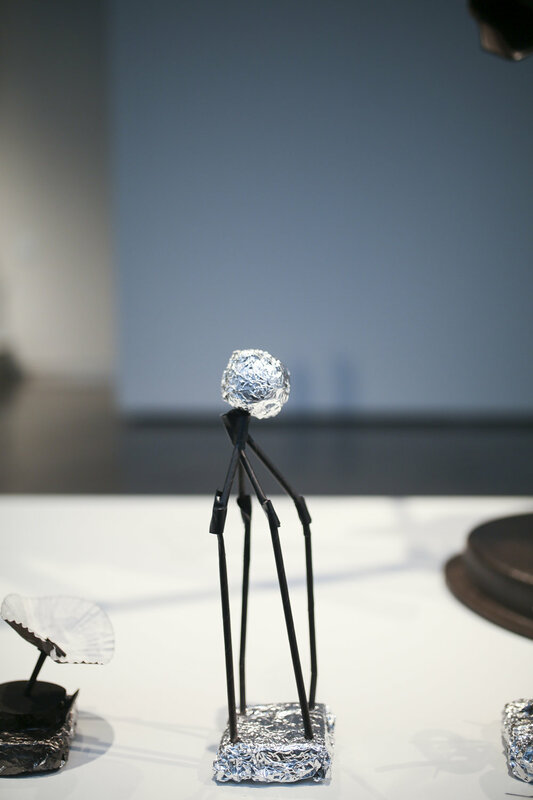 We sat down with LSU MOA education curator, Rebecca Franzella, to find out more about her educational projects in collaboration with our current exhibition, Broken Time: Sculpture by Martin Payton. How did you work with the artist, Martin Payton, to develop these educational programs for the students? We met at a Third Thursday event highlighting his exhibition. I had a chance to speak with him at a table where I was doing mini magnetic sculptures based on his work for the adult attendees. As we were talking, I discovered that he was a teacher. As a former teacher and current educator myself, I wanted to include Martin in our education programs including ArtWorks, MUSE and special school tours. One of the recent tours involved students from Mentorship Academy spending the day with Martin, starting with a field trip to his studio (sponsored by the Baton Rouge Chapter of The Links, Incorporated) then seeing his work in the museum followed by a hands-on component. Throughout the day, Martin led the discussion on his process and worked with them to create art objects based on his style. He came up with the idea for these students and worked with them to execute it. What is your favorite thing about Martin Payton's work that inspired you to do the projects that you chose? I love how he's able to mimic something from the real world in an abstract way. His style lends itself to a variety of interpretations depending on your background. You don't have to see it as representational, but you find yourself relating it to objects from your own experience. It could be appreciated for being material-driven or purely abstract, but once you know the historical and mythological background of the titles of the pieces, it takes on a representational feeling. What is the age range of the children you taught? How did you have to change the projects to fit each educational level? We worked with Pre-K through 6th grade, and one 11th grade English class, all from EBR parish schools. We have monthly educational programs for schools without an art department. 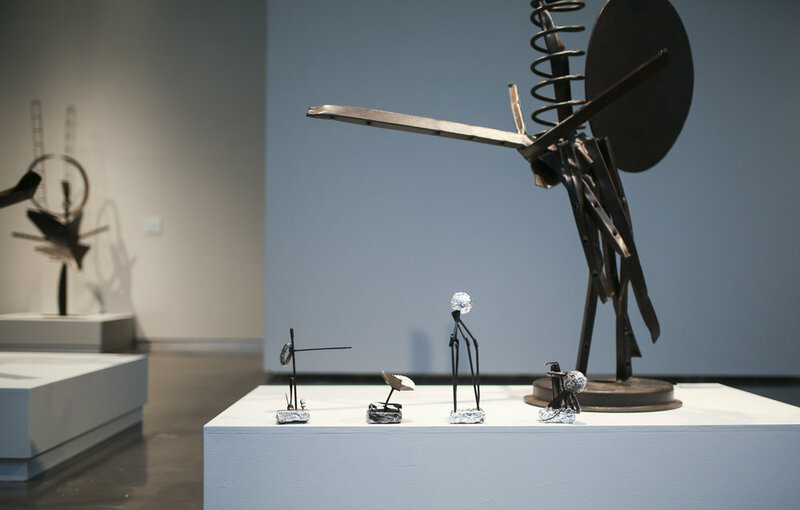 For the younger students, we were inspired by the magnetic miniature sculptures from our Third Thursday event, but figured that strong magnets may be too dangerous for little fingers. Instead, we opted for using small, found objects (straws, clips, binder rings, etc. ), all painted black or kept metallic. The objects were assembled using zip ties and bread ties. 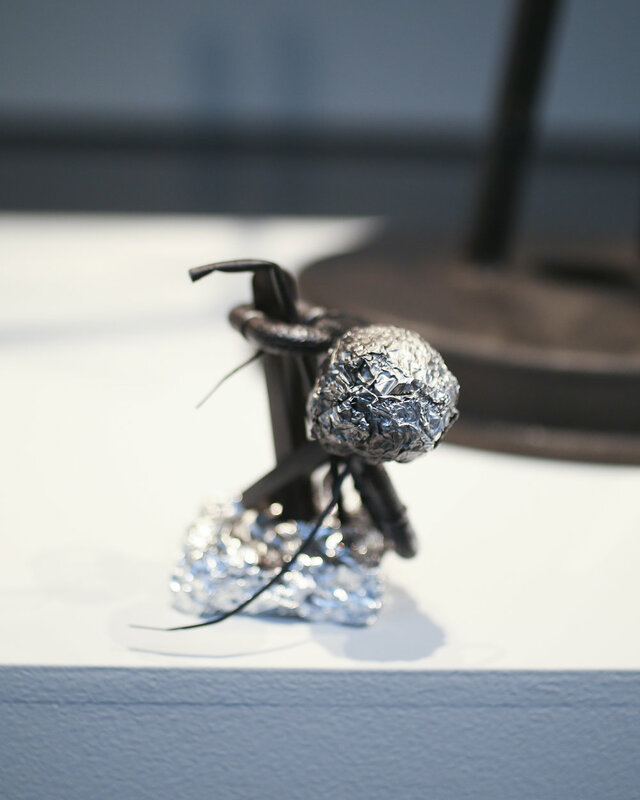 The use of found objects taught the students about Martin's practice of using found materials for his work. Also, the simplicity of the objects helped the students to focus on concepts such as balance, form, shape, contrast, and negative space. We started by looking for simple shapes in Martin's own pieces. For the older students—11th graders from Mentorship Academy in Baton Rouge—Martin came up with their project himself. 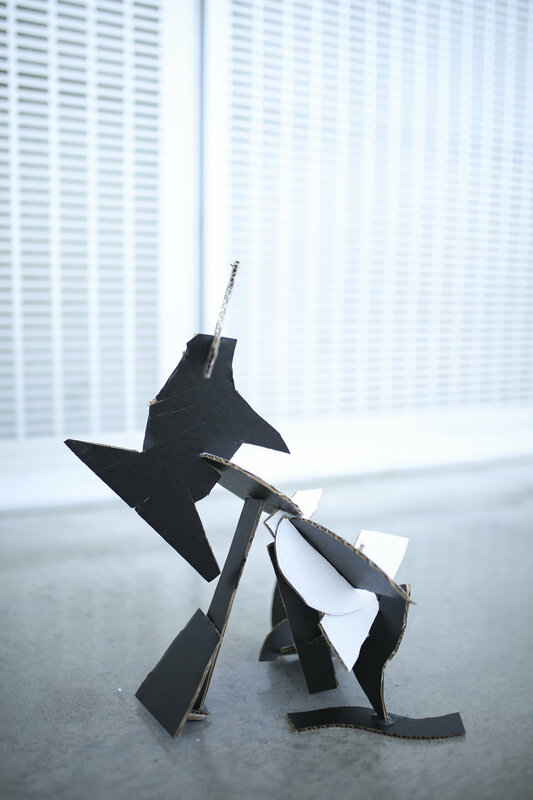 This project required the students to arrange themselves into teams, cut out pieces of cardboard, and assemble them into dynamic sculptures. This project required teamwork and emphasized the concept of balance. Martin also challenged the students to work with an improvisational mindset. He would make them switch up team members in the middle of the project, and he tested them by saying things like, "Okay, your sculpture fell over. Now what?" This led to pieces that were an incredible blend of organic and geometric shapes, balanced precariously and spontaneously assembled. I consider this the most successful of the projects because it's one that the artist, himself, created. What skills and art theory did the students learn through these projects? The students learned improvisation, teamwork, and balance. They were able to discuss recognizing abstract art and understanding that it can be, at times, representational. With Martin Payton, they were able to learn about African American history and African theology, both of which Martin draws on to create and name his pieces. The older students were able to learn knife skills, and the younger students focused on learning the difference between organic and geometric shapes, contrast, composition, and negative space. Feeling inspired by these students? Visit the exhibition's interactive sculpture station to practice creating a sculpture of your own. 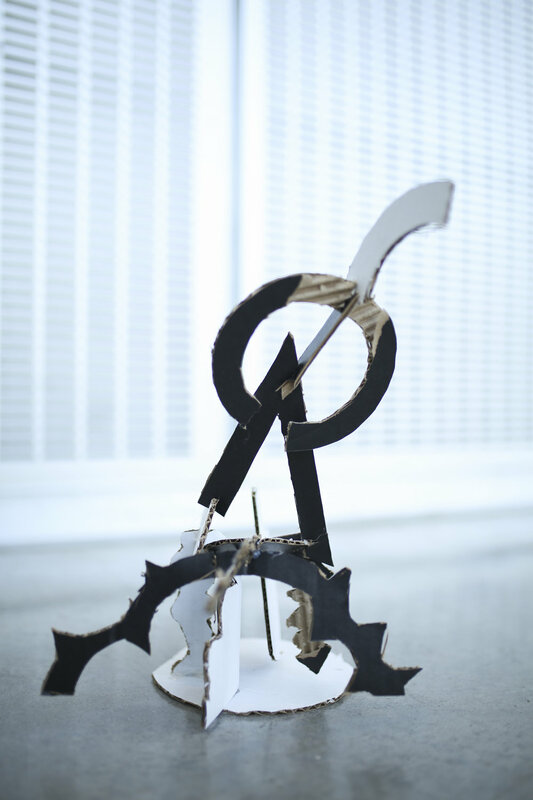 Broken Time: Sculpture by Martin Payton is on view through February 11, 2018. Malarie Zaunbrecher is LSU MOA's communications intern.